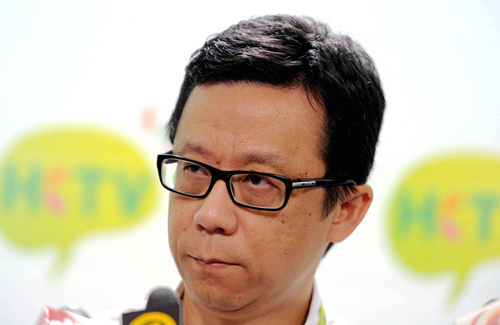 HKTV may have another chance to enter the Hong Kong television market. Yesterday, the Hong Kong High Court ruled in favor of HKTV, claiming that it was unlawful of Chief Executive CY Leung (梁振英) and his cabinet to reject HKTV’s application for a free-to-air license in Hong Kong. HKTV, i-Cable’s Fantastic TV, and PCCW’s HKTVE applied for free domestic television licenses, but HKTV’s application was rejected by the government in October 2013. The decision led to public outcry, and large-scale protests were held around Hong Kong in support of HKTV, demanding the government for an explanation to HKTV’s rejection. HKTV appealed for a judicial review. Interesting choice of words. So govt will reconsider but doesn’t stop them from saying no again. Last time, they refused the license to HKTV because according to them the market can’t have 5 TV companies. Now ATV is basically gone, they need to find another reason to not give the license to HKTV. However, people are already suggesting that the government will appeal and it most likely take another few years time for the outcome. Also, another contender has applied for a new TV license, people behind it got ties with China (like the other TV companies), so I expect they will get a TV license and HKTV not getting anymore (how unfortunately it is). If CY Leong insist on not letting HKTV get a license, he will come up with another reason. What I fear most is that it’s not even CY Leong’s decision, but, Central Government (Mainland China CCP) decision. But, I really hope HKTV can be granted a license this time. I like their series o far and hope to see more of it. @kidd Totally agree with you. It could be a Mainland China’s decision. C.Y. Leong was only a “figure head”. If the court needs to ASK then the government won’t give it to them. ricky your a brave men to challenge tvb dramas, but you HKTV series kinda bad. if i were you , i will be investing on better storyline and younger people.. everyone there is over 35 year old playing main or second leads. TVB drama is kinda crappy because lack or new talents, and storyline, The old atv and tvb series are good, lot of new talents, lot of character progressions. Maybe its not worth it to spend so much money on new talent and production, because younger generation dont glue to TV they enjoy downloading TV Shows.